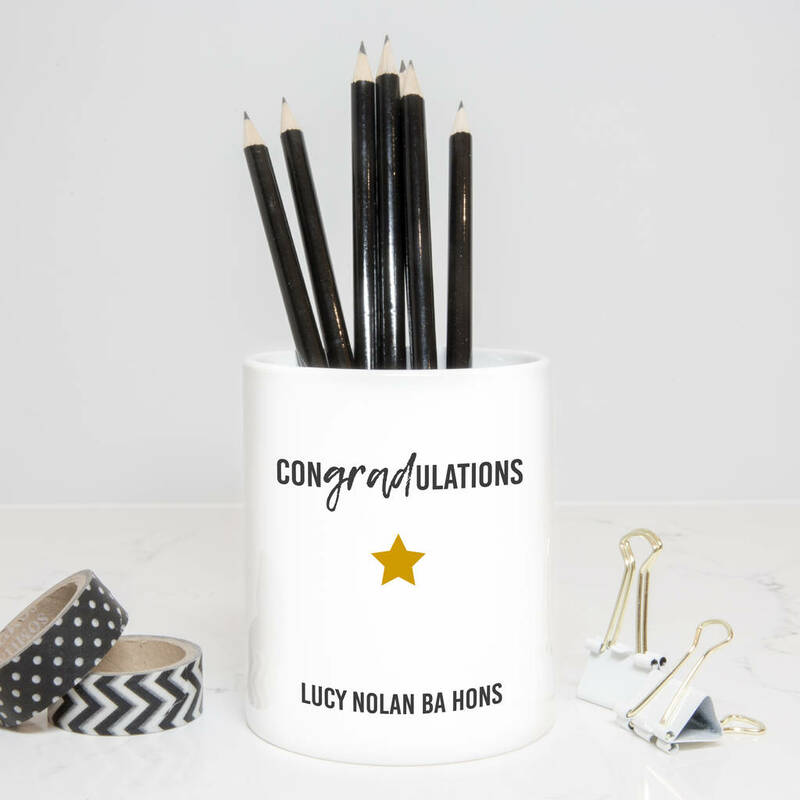 The perfect personalised way to congratulate the new graduate. Designed and printed by Slice of Pie Designs this ceramic pen pot reads 'Con'grad'ulations!' A lovely addition to their desk that will remind them of all their hard work for years to come. 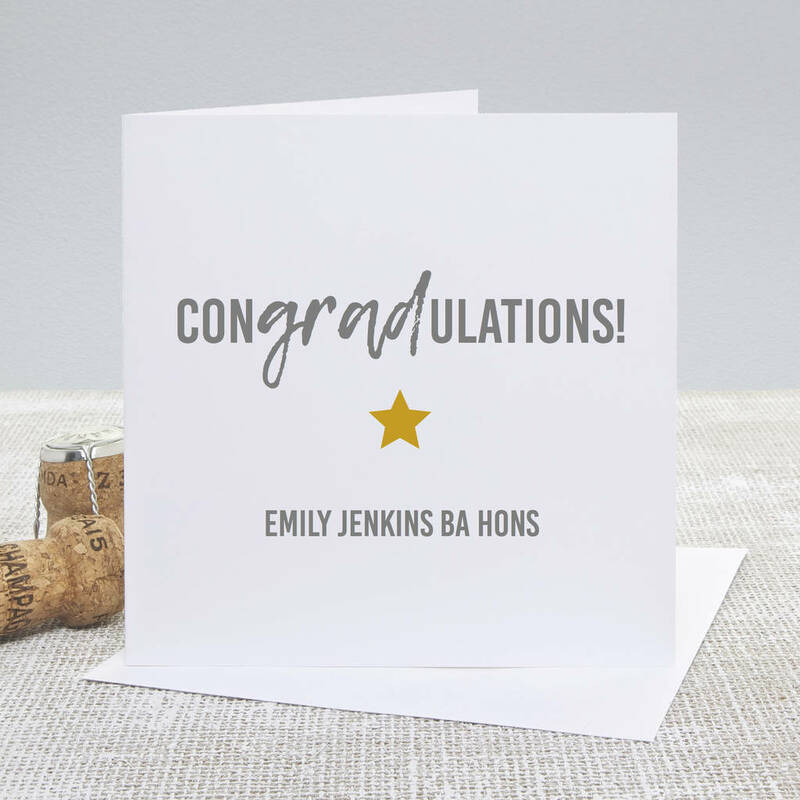 The perfect way to send your degree congratulations and best wishes to someone special who has just graduated from university or college. Add the graduate's name and new title to add a special personalised touch. Select the matching card for the perfect gift set.